Dental cover - prevent your family's teeth from rotting! 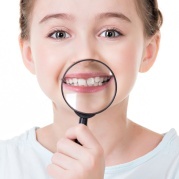 Dental cover – prevent your family’s teeth from rotting! Every year medical aid schemes spend less and less on dental cover. This means you have to use special strategies. The alternative is that your family’s teeth will be neglected and will ultimately rot away! If you use a private dentist (one who is not a public sector dentist) then you need to make provisions for dentistry costs in the form of better dental cover – even if your medical aid plan does include dentistry. This is because the actual cost of dentistry is rising at well below the rate of inflation each year, while the medical aids are covering less and less of your dentistry bills. In other words, your medical scheme benefits for dentistry are shrinking. Remember that only about 2 million of the 8,5 million South Africans who have medical aid have an option that covers the cost of dentistry from the general risk benefits rather than from medical savings account, according to Dental Information Systems (Denis), which manages dental cover for medical aid schemes. Denis also provides insurance products for dentistry. As everyone knows, one’s medical savings account can rapidly run out well before the year has ended. This is even more of a reason to make sure you have adequate dental cover. Figures from the Council for Medical Schemes confirm that lack of dental cover among South Africans is a problem. Less than 3% of medical scheme payouts related to dentistry (excluding payouts from medical savings accounts). Look at various dental cover policies available from insurance companies. Some companies offer a dental health maintenance plan similar to cover you would take out for maintaining your car. Dental insurance is quickly becoming a must, even for people who have medical aid. Self-insurance is also an option. Put aside money in a separate account for taking care of dental costs. The trouble with this is that you have no idea what your dental costs might be in the future. But saving something is better than saving nothing. Understand thoroughly what Basic Dentistry means in terms of your medical aid, if you are covered for basic dentistry at all. Low-cost schemes often cover only the treatment of pain and abscesses, X-rays, scaling and polishing, fillings, extractions and basic plastic dentures, but usually only once every two years. Sometimes dental cover in medical aids includes emergency root canal treatments. Treatment that one might think of as essential, such as root canals, crowns, implants, bridges and dentures, may be available only on more expensive medical aid options. These procedures are referred to as specialised dentistry, and all medical schemes limit their cover for specialised dentistry, either by capping the payout or requiring members to follow a managed-care protocol. Check your medical plan to see what “above threshold benefits” really means. This benefit applies after the money in your savings account has run out and you have settled all your doctor’s or dentist’s bills yourself during the “self payment gap” – the gap between your savings account being exhausted and the level at which your above-threshold benefits begin. You might think that the medical aid will resume paying your bills after you have paid a certain amount in yourself – but watch out! Medical schemes have rules on various types of claims – including dental procedures. Shop around for cheaper dentists and dental procedures. Believe it or not, you can actually get quotes from various dentists and other dental specialists and compare them. * Orthodontics (device only, but some patients do require to have extractions): R20 000 to R45 000. Make sure you have sufficient dental cover and you will never have to worry about your family’s teeth again.